So… now the only reason I have to go to Facebook is to play Cityville right? (at least until Zynga gets it up and running with Google). 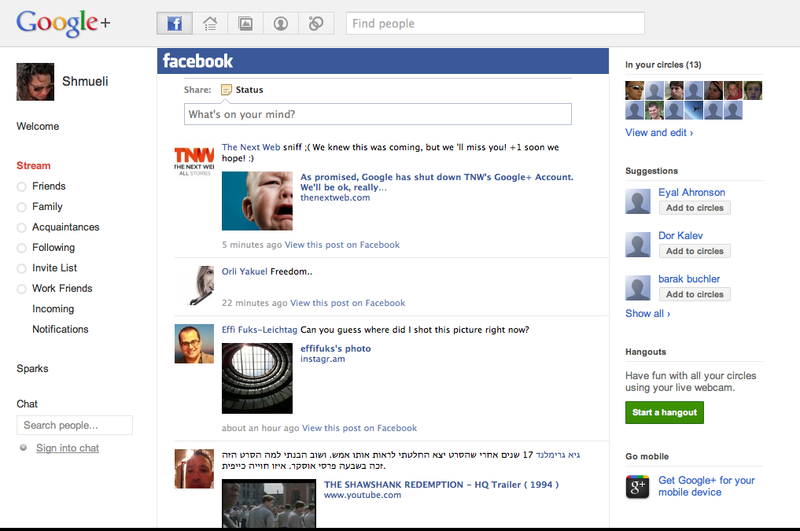 Google+Facebook allows you to see your Facebook stream inside Google+. Simply Connect to Facebook, and get all the updates on your Google+ Facebook tab. Only works in Chrome or FireFox, get Google+Facebook here.